For those who have an interest in investing in property or who are already owners, it's critical you avoid making common mistakes made by DIY landlords. We all know part of property investing is learning from mistakes. It's easy to believe managing property won't be challenging. However, many landlords discover it's more difficult than they anticipated. Being a good landlord means understanding the legal requirements put forth by the state of Florida to protect both tenants and landlords. While some investors opt to use a property management company to handle things, many decide to rent their properties without help. It’s for that reason we’re going to discuss the most common mistakes made by DIY landlords and how to avoid them. As your rental portfolio grows, managing it becomes a challenge. You want to continue to experience growth, but the objective must be to experience these increases smartly. Therefore, it may be time to enlist the help of a property management company. They'll help you handle the details when there doesn't seem like there are enough hours in the day. We’re going to discuss how a property management company develops and diversifies your portfolio. In doing so, it will lead to passive income, time savings, and peace of mind. When property owners take on multiple investments, one of the most significant decisions they'll make is if they need to hire a property management company. If you only own one property, it may not be necessary. However, if that one property is in a state where you don't reside, that's a different story. People acquire investment property for a myriad of reasons and their need for property management companies are just as varied. If you've often wondered whether you should hire a property manager, it’s essential to do some homework first. Your investment can experience significant increases when you hire a competent property manager. It's for this reason many real estate investors will advise that a good management company are invaluable. For those who aren't hands-on and would rather not work on maintenance calls, expense management, or collecting rental income, hiring a property management company is ideal. Not only will they handle these details for you but they'll also streamline your business. Here are some key marketing benefits of hiring a property manager. A landlord's job is made incredibly difficult when dealing with terrible tenants. Some are careless and damage the property while others consistently pay the rent late. Some have argumentative temperaments no matter how reasonable you keep your disposition. If you're a veteran landlord, you've probably run the gamut of types of tenants. Under most circumstances, landlords will deal with troublesome tenants. However, there are ways to stop dealing with terrible tenants and attempt to develop positive relationships. 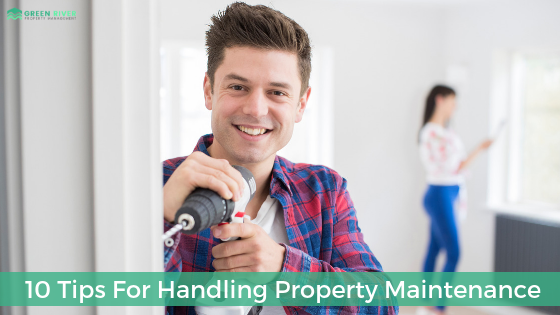 Handling property maintenance requests can be one of the more stressful aspects of managing rental properties. Rental properties can be a great way for you to generate an extra stream of income each month. While this is a great way to get ahead financially, you need to know what you are getting yourself into. One of the biggest issues with owning rental properties is vacancy in your rental property. One of the best ways to combat against vacancy in your rental property is to retain great tenants. This is also a good way of ensuring that your property will not be greatly damaged by tenants whom you do not trust. When you find great tenants, hold on to them. Here are five tips that will help you retain great tenants. Owning an investment property can be a great way to earn some short-term cash flow while also building a lot of long-term wealth. When you are looking to own investment real estate, there are many different important decisions that need to be made. One of the most important overall decisions that need to be made is when you try to pick new tenants for your property. 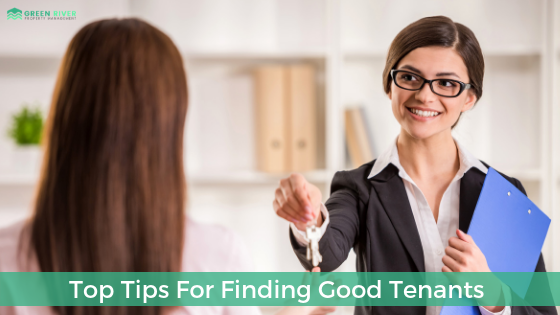 There are a variety of tips that could help you to find and pick great tenants for your property.